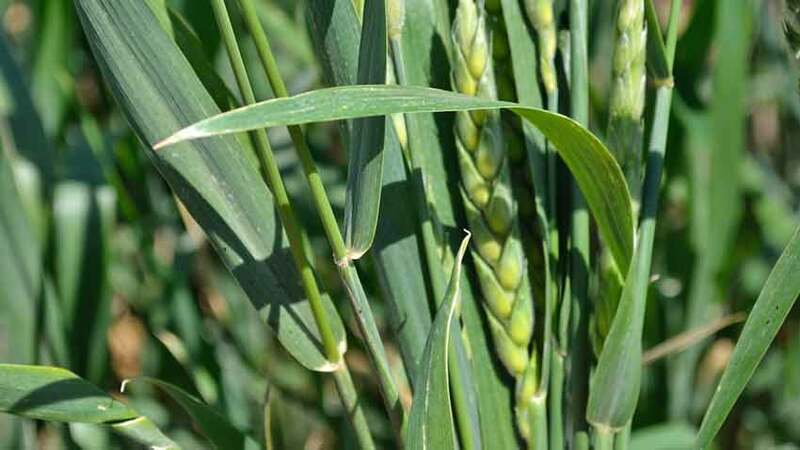 White Sonora Wheat is enjoying a resurgence of popularity today all across the country, thanks to restoration efforts in Arizona and South Carolina. 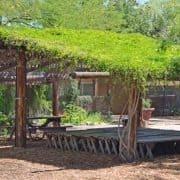 Introduced in the early 1700s by Jesuit Father Eusebio Francisco Kino to the Sonoran region of Mexico and Southern Arizona, White Sonora Wheat was the staple wheat for the western United States for almost 200 years, from the early 1700s to the 1900s. Starting in the early 1800s, California planted Sonoran wheat almost exclusively. 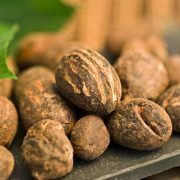 Its popularity was partly due to its resistance to Fusarium fungus, drought tolerance and its exceptionally sweet flavor for baking. It was also prized as a brewing grain, again for its flavor it gave the beer. During the Civil War, much Sonoran wheat was exported from Arizona and California to the eastern states making up for lost production due to the war. Several factors contributed to its demise as the staple variety of wheat, from expanded cattle ranching in Mexico, the droughts and loss of water as a power source in the 1950s, the closing of many flour mills in Sonora in the mid-1960s, the Green Revolution with its hybridized wheat varieties and the switch from wheat production to vegetables as dams closed off the rivers in northern Mexico. 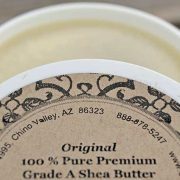 By about 1975, there were no more commercial sources of White Sonora Wheat available. A lot of attention is being paid to wheat today, mainly due to the rise of gluten intolerance or celiac disease in which a person cannot digest the gluten part of wheat in their diet. 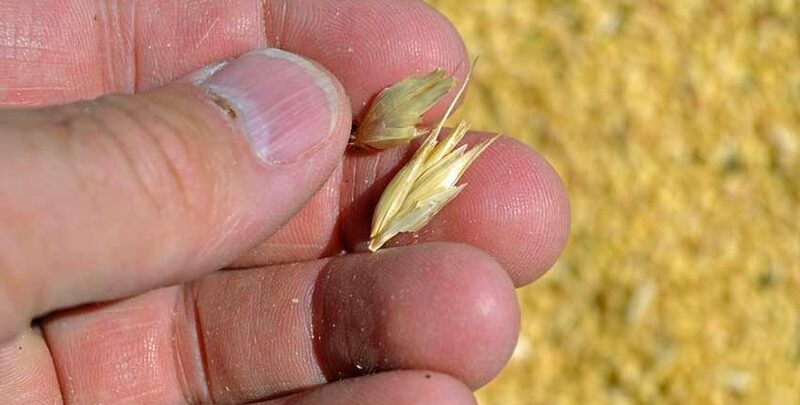 For a more in-depth look at this issue, read my article “What’s Wrong with Our Wheat?”. This is one of several areas where White Sonora Wheat really shines, as it is lower in gluten and higher in protein than today’s super-hybridized dwarf varieties. White Sonora Wheat is an extremely flavorful semi-hard white spring wheat that can be used for whole wheat flour in breads, cakes, pancakes, tortillas, and more. By many accounts this is the best flour for cakes, breads and tortillas ever. Because it is a white wheat, not a hard red wheat, it makes lighter products that have a sweeter and lighter flavor than those typically associated with whole wheat. The berries can also be boiled and used like rice or sprouted for wheat grass. 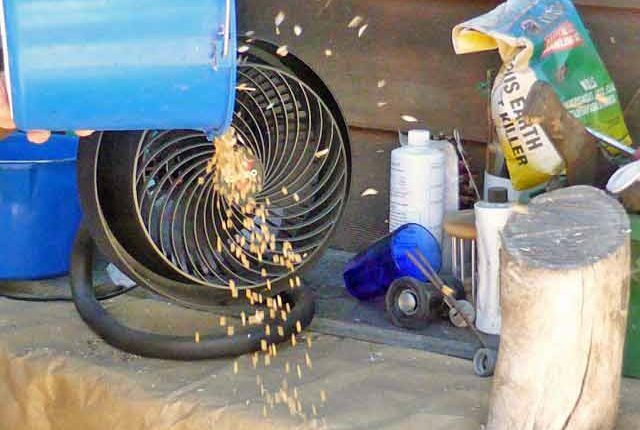 Another advantage the White Sonora Wheat has is a thinner, more paper-like husk, unlike other ancient cereal grains that require a mill to remove the husk and then can be ground. 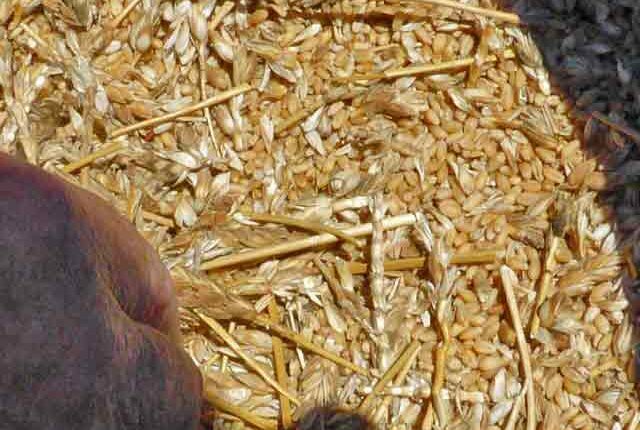 When we recently visited our grower, we were shown a large bag of the wheat that had just been harvested, with no other cleaning or sorting. You can see the video below, and see the weed seeds among the wheat, but also the very few seed heads that have any husks on them. The husks are removed by the mechanical action of the harvester, with the remaining ones rubbed off easily with a couple of fingers. 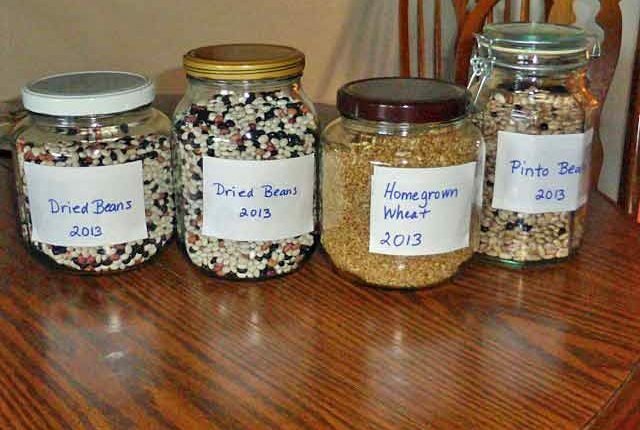 For the home gardener or small scale grower, this can be done fairly easily with some hand or kitchen tools. 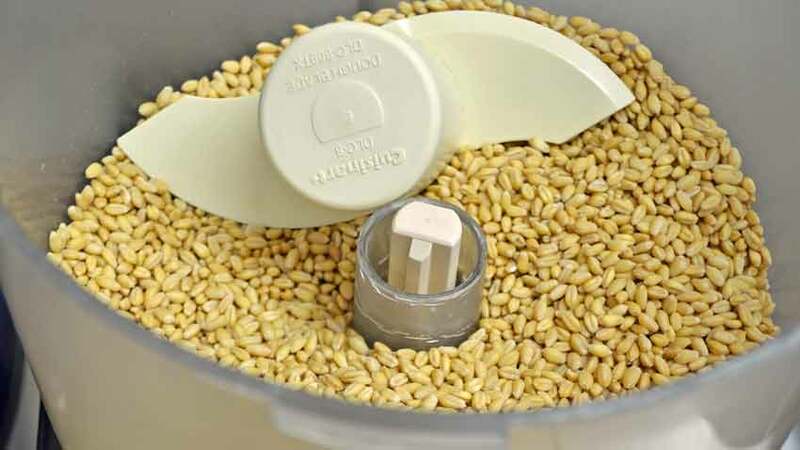 Depending on how much wheat you have to process, a kitchen food processor such as a Cuisinart fitted with the plastic dough blade can separate the husks from the grains. 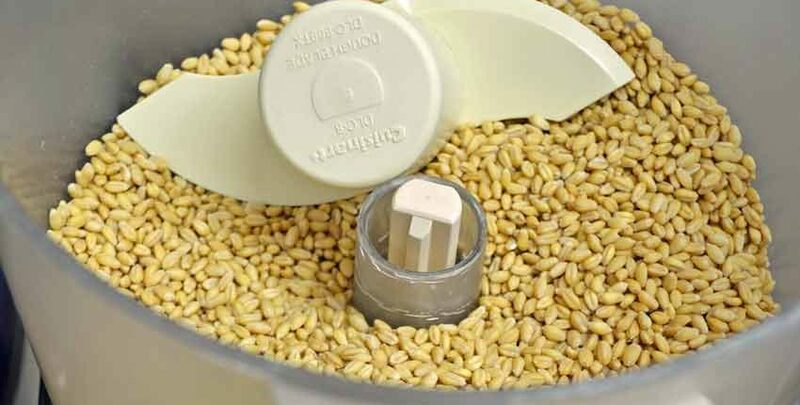 Pulse the blade to prevent from breaking too many of the grains and making it harder to separate the wheat from the husks or chaff. Fill the bowl up about 1/2 to 2/3 full and work in batches. 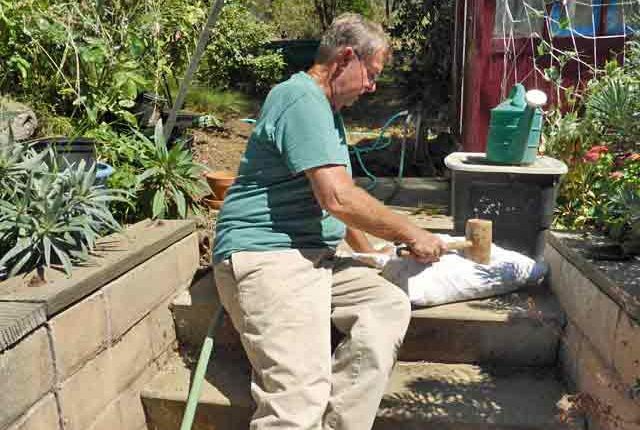 Another method is to use a 5 gallon bucket with a paint mixer attachment on a hand power drill, either the spiral or traditional cross or paddle type. 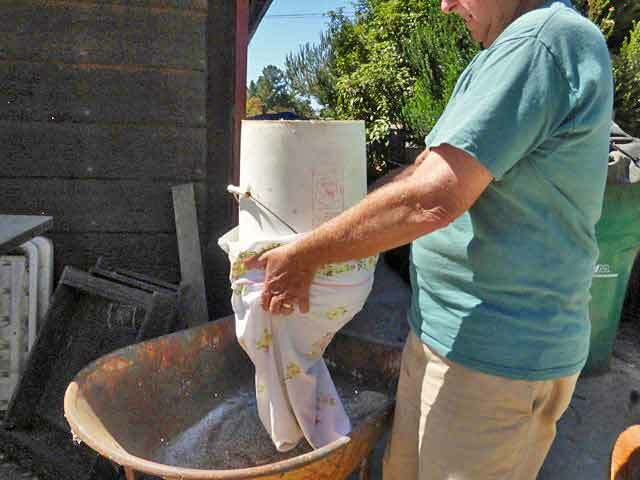 Use a moderate speed and move the mixer around the bucket to create the friction that loosens the husks. You will need to stop and check the progress, but will quickly get a feel for how long to use the mixer. White Sonora Wheat has a root structure much like a perennial prairie grass with long taproots and a web of smaller feeder roots, unlike the simple and shallow hybrid roots of today’s wheat. These longer taproots bring water and nutrients from deeper in the soils, making the plant less susceptible to moisture fluctuations. It also helps to open up the soil when the wheat is harvested as the root system decays, leaving behind a network of air and water passages. The wheat can thrive on marginal soils and actually produces better flavor on these soils, though production volume is lower than modern ones. 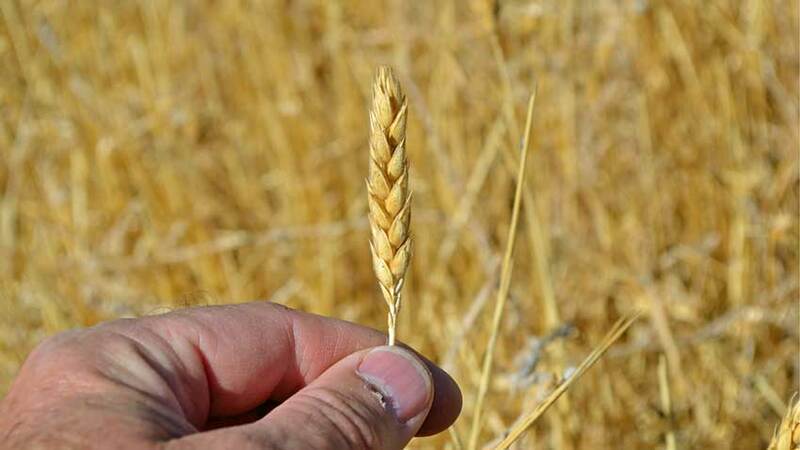 With all of its advantages, flavor and nutrition, ease of growth and harvest, along with being adapted to dry climates and improving the soil, it is easy to see why White Sonora Wheat is regaining its rightful popularity! It is usually planted as winter wheat in areas with mild winters and as spring wheat everywhere else. 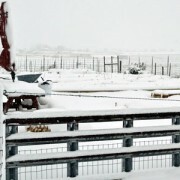 One of our customers graciously sent some photos showing how he processed the wheat after harvesting it. He started with 3 oz. and the end results are pretty impressive! Thanks to Paul from California for sharing these with us! 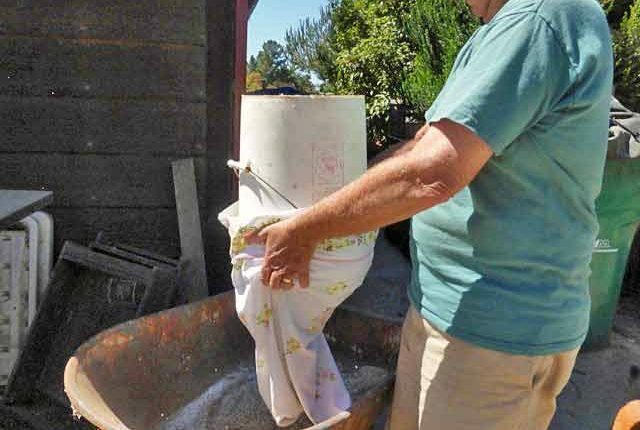 He starts with dumping the uncleaned wheat into a sack or heavy pillowcase – heads, chaff and remainder of stems – all of it. 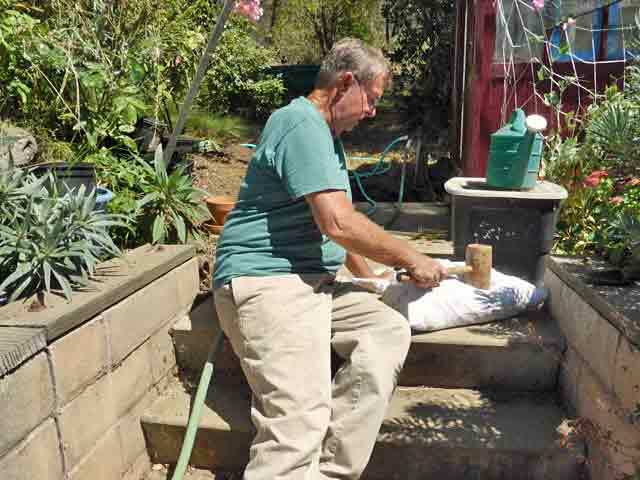 Then using a large, lightweight wooden mallet, he applies physical friction to the bag and wheat, loosening the hulls. This isn’t a pounding action, and he tries not to hit through to the bottom of the sack, only gently thumping the top and going down about halfway into the wheat. After a few minutes of friction, this is what the wheat berries look like – very much the same as what comes out of the combine, but with some stalks and stems in the mix. Next is winnowing the wheat, or separating it from the husks or chaff. 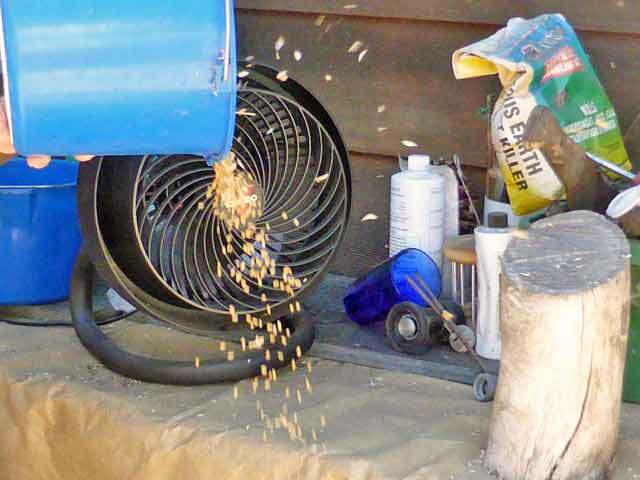 The basics of this process haven’t changed since it was written about in the Bible – use a breeze to blow the lighter chaff off of the heavier wheat berries. Paul said he had to repeat this step a couple of times, but got a really clean batch of wheat. Here are the results! Pretty good harvest from a 3 oz. start. This is fairly typical return with wheat, it should be in the range of about 40:1, meaning if you plant 1 oz. your harvest should be around 40 oz. The wheat grew well in my little trial patch here in Aromas, CA and hardly took any care. I harvested about 1/2 gallon of this wheat this season. 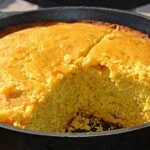 It looks great and I will be grinding it soon and making at least one loaf of sour dough bread. 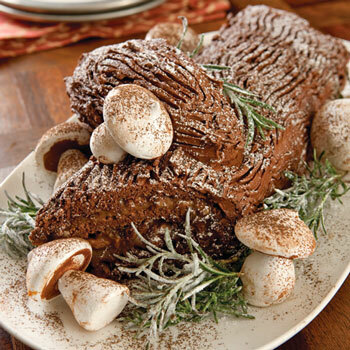 I already sent you some pictures and when we make the bread I will send one of it. Good to hear about your success! We will post some of your photos soon. Curious as to the yield, as I am experimenting for a family of seven. I have 35+ acres, but have most of it devoted to garlic and other herbs. Have never planted wheat in my life. Herb, it really depends on several factors, so you won’t know the exact yield until you plant it! However, most of our customers are easily getting a gallon jar volume of wheat from a 3 oz planting, as is shown in our update photos. This seems to be pretty typical from the feedback we are hearing. 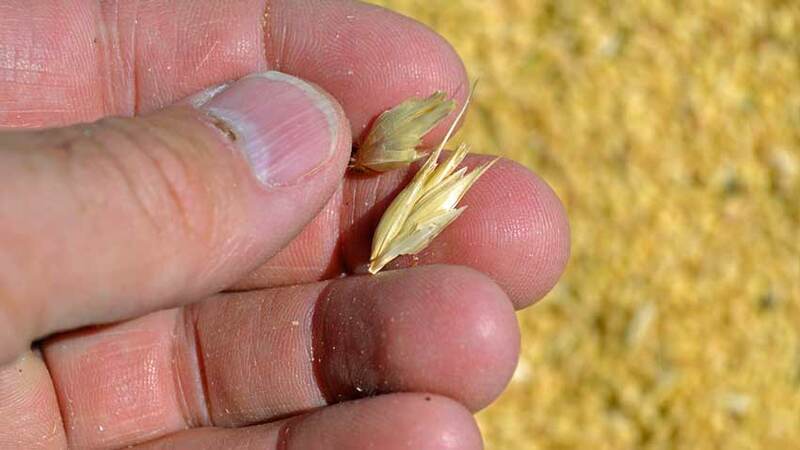 Rough conversion calculation shows a pound of wheat should return about 1/2 bushel on harvest. 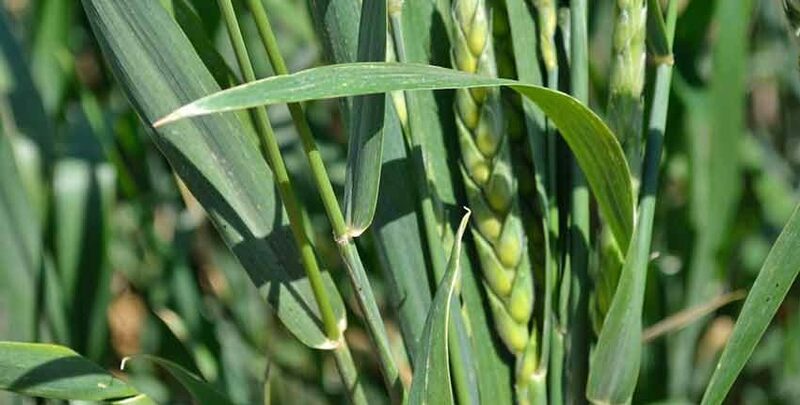 For planting, the seedling concentration should result in about 25 wheat plants per square foot, so seed about 30 seeds per square foot to allow for some loss to birds, slow germination, etc. To harvest do you just cut the seed heads off? I am interested in growing for my small chicken flock. 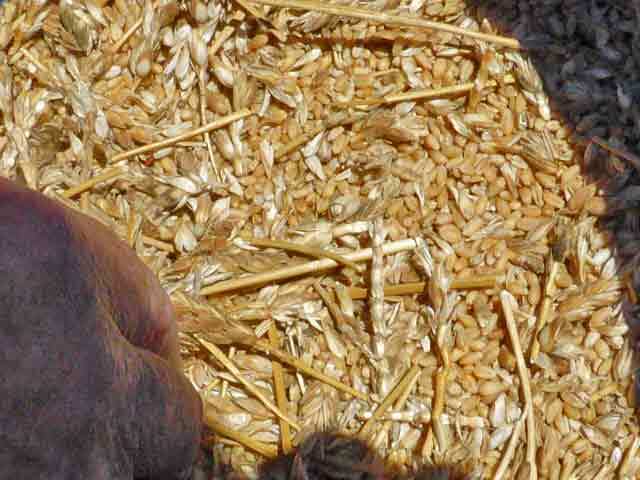 I would harvest enough seed to plant again the next year and let the chickens self harvest the rest of the wheat. Yes, just clip the seed heads and save them. You should get about a 40:1 return on planting if you have good soil and reasonable weather. Paul, our customer in the update photos, planted 3oz and he almost filled the gallon jar in the later photos. I got interested in planting Sonora wheat as an addition to our ever growing garden. Since this a small project, I don’t have a large budget for equipment, etc. I know the harvesting isn’t where much expense would be incurred but I am curious as to the equipment required to plant it. Any help/suggestions you have would be appreciated. Thanks! 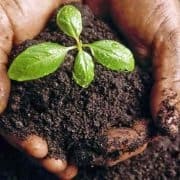 You can broadcast seed a plot by hand and rake the soil over to lightly cover the seeds, so additional equipment isn’t needed for most home gardeners. Another approach is to drag a garden rake deeply through the soil and seed the wheat in the furrows, leaving about 4 – 6 inches between rows, then smoothing the soil over the seeds. 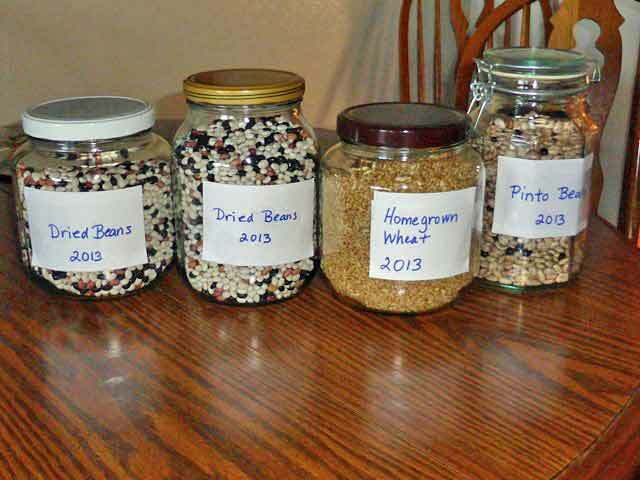 Do you recommend soaking seeds overnight before planting? Traditionally, this wheat is planted just after the ground has been flooded and then doesn’t need much if any additional watering or irrigation. You might soak it overnight before planting if you don’t have damp, moist soil to mimic the flooded soil effect.